TS GYM MEMBER QUINN O'HANLON TAKES SECOND PLACE OVERALL FEMALE AT UNLEASHED AT STADIUM BOWL STAIR CHALLENGE 2017! PICTURED: Brian Nelson, Executive Director for Unleashed At Stadium Bowl, presents Quinn with a medal. Representing Tacoma Strength, and the Stadium High School Cross Country Team, gym member Quinn O'Hanlon ran away from the competition last weekend at the 2017 Unleashed in the Stadium Bowl Stair Challenge. 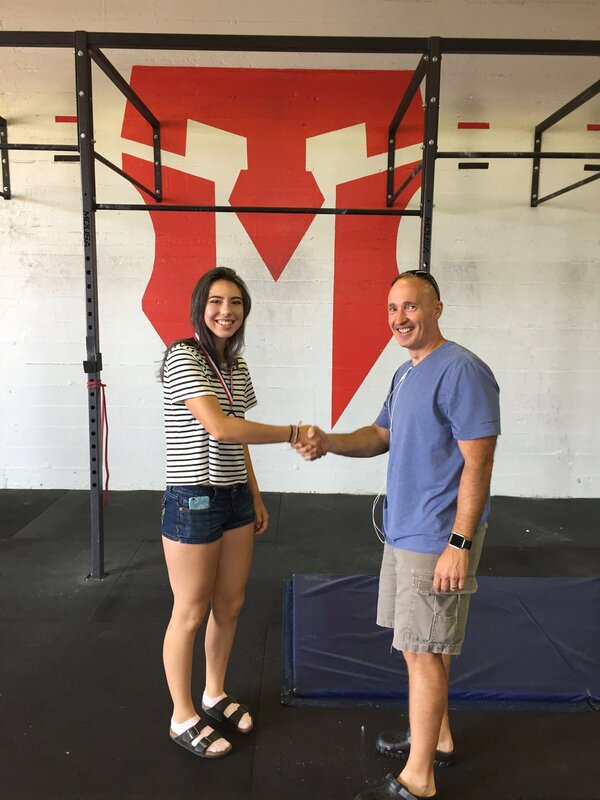 Through hard running on the rough roads of Tacoma and hard work in the gym this past year, the 2017/2018 Stadium Cross Country Team Captain was able to drop over two minutes off her time from 2016 and launch herself onto the podium this year. Nice job Quinn!